Margaret was a beautiful princess who secretly converted to Christianity. She was driven from her home and became a simple shepherdess. When she refused the advances of the local governor, she was imprisoned. The Devil appeared to her as a dragon and swallowed her whole. A cross she was carrying grew until it split the dragon in two, enabling her to climb out. 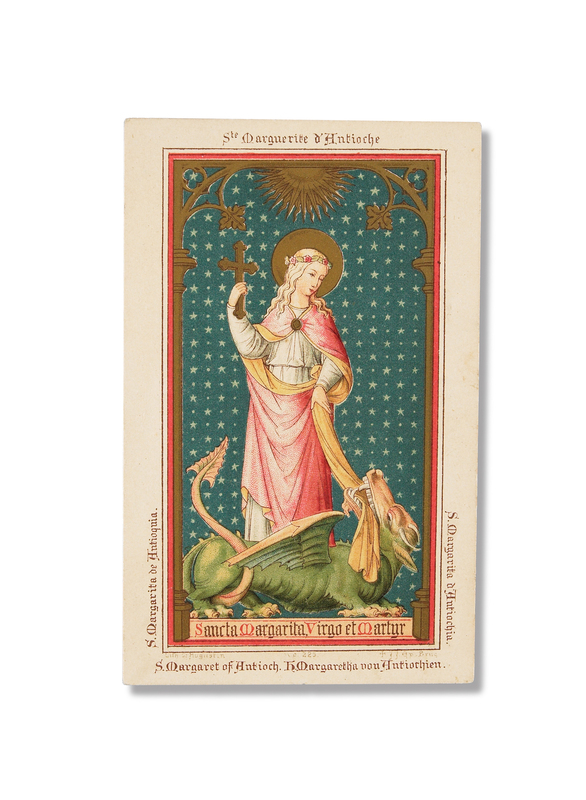 Hello, my father is very interested in buying this holy card of St Margaret. Is it possible to buy it somewhere? Thanks a lot. Cristina. Let me find out if another one is available for you.